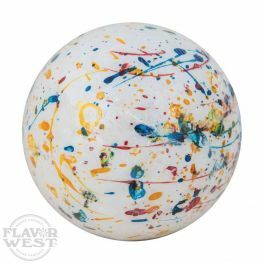 Jawbreaker flavor is made from sweet fruity flavoring and has a rich aroma and sweet taste. Type: Jawbreaker Water Soluble Flavoring. Ingredients: Natural and Artificial Flavoring, Propylene Glycol. USP Kosher Grade Flavoring. Usage Rate: 15-20% for E-use. Flavor Suitability: Drinks and beverages, smoothie, desserts, pastries, baked treats and more. Specific Gravity: 1.00 No Refunds on Flavoring. You gotta get this stuff. My new favorite. FW Bubblegum was my all day vape, and i still love it. Jawbreaker is adv now. FW Bubblegum has been my go to ADV for awhile now. However, this will be my All Day Vape now! I love it!!! I mix it at 18% with 70vg/30pg. I went to 20% but I don't think that is necessary, at least for me. I mixed some at 15% but it was too weak to my liking. Either way, try it, you will Love it!! !